Less than two hours after the Domecoming event was announced, 25,000 passes were reserved by the general public. The sold-out event on April 9, the 53rd anniversary of the inaugural event at the Astrodome, was a success. Lines were wrapped around the Dome well in advance and hours after the event began. Guests took advantage of the opportunity to reminisce and enjoy a last look into the Astrodome before renovations begin later this year. Some former Oilers players and former Astros players enjoyed sentimental time back on the field. Fans arrived dressed in vintage (as well as current) Astros and Oilers gear. The Domecoming celebration included an opportunity to hear about the renovations from Harris County Judge Ed Emmett and Astrodome Conservancy chair Phoebe Tudor. Harris County Judge Ed Emmett said, "The Astrodome Conservancy is going to help us ensure that the Astrodome is no longer just an unused county building housing only memories and equipment." See below for photos from the Domecoming event. 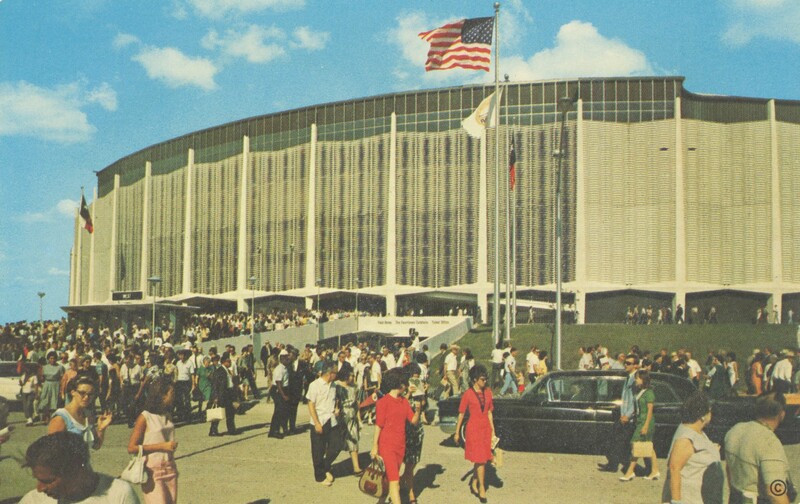 Share your Astrodome memories with us - join the conversation on our Facebook post or comment below. Astrodome Conservancy chair Phoebe Tudor with Welcome Wilson Sr., also on the Astrodome Conservancy Board, and Welcome Wilson Jr.
A 1966 postcard displaying a crowd leaving the Astrodome. On the back, it reads: “A capacity crowd leaving Houston’s fabulous Astrodome. The world’s first domed Stadium. Hence the nickname, the 8th wonder of the world."